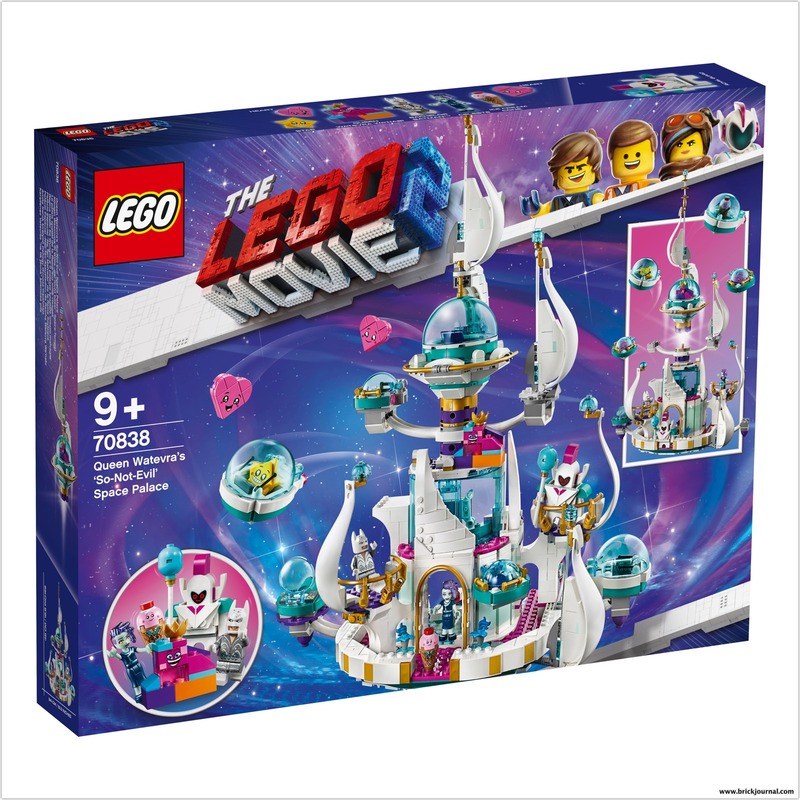 This kids’ toy LEGO® set includes 8 characters from THE LEGO MOVIE 2™: Benny and Washed-out Wyldstyle minifigures, Balthazar mini-doll figure, plus brick-built LEGO Unikitty as Calm- Down Kitty, Flaminga, Eight, Archimedes and Balthazar vampire bat toy figures. Shimmer & Shine Sparkle Spa features an arched entrance, buildable loudspeakers, lever-operated revolving wall for Balthazar to ‘transform’ into a vampire bat, hot tub with an opening lid and trapdoor function, buildable sink, 2 removable tables, 6 brick-built potion bottles and assorted elements including a towel, teapot, cup, serving tray and translucent crystal decorations. The minifigures, mini-doll figure and brick-built figures in this set are all new for May 2019 and the Washed-out Wyldstyle minifigure features blue and pink hair while the Unikitty as Calm- Down Kitty toy figure has a new face expression. Emmet couch mech model measures over 7” (18cm) high, 7” (20cm) long and 1” (3cm) wide. ← Scratch and Dent Magazine Sale!